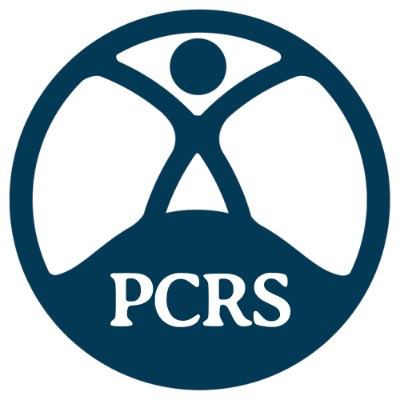 This website is owned and operated by Primary Care Respiratory Society UK (also known as PCRS), registered office address Miria House, 1683b High Street, Knowle, Solihull, West Midlands B93 0LL, email info@pcrs-uk.org, company number 04298947, incorporated in England and Wales, charity registration number 1098117, VAT registration number 866 1543 09. You may not alter this website in any way or post onto or transmit to this website any material containing software viruses or files which may damage or disrupt the good working order of computer or telecommunications equipment. we cannot accept any responsibility for the contents of materials viewable from this site which are not provided or maintained by us. These materials may be provided by (but are not limited to) links, frames and portals, and will also include sponsored links viewable through the site's search facility. Free non-commercial use might include downloading, reproducing, distributing, displaying and storing PCRS’s web pages or content. all copyrights and trademark notices, marks, disclaimers and other such elements must be preserved and upheld at all times. This website may contain links to websites operated by third parties. The operation of these websites is outside PCRS’s control and you proceed at your own risk. PCRS does not endorse or sponsor, and is not liable for the products, services or content you access through any linked site. PCRS takes reasonable precautions to prevent the loss, misuse or alteration of information you give us. Though we cannot guarantee the security of the internet, this website has security measures in place to protect against the loss, misuse and alteration of information you provide us. Our secure server software (SSL) is the industry standard and among the best software available today for secure online transactions. It encrypts all of your personal information, including credit card number, name and address so that it cannot be read as the information travels over the internet. Communications in connection with this service may be sent by e-mail. For ease of use and compatibility communications (other than payments where applicable) will not be sent in an encrypted form unless you require it and provide the certification to enable us to communicate with you in that way. E-mail, unless encrypted, is not a fully secure means of communication. Whilst we endeavour to keep our systems and communications protected against viruses and other harmful effects we cannot bear responsibility for all communications being virus-free.